Home > News & Views, Other Blogs	> Why not use sweat if the objective is to make it look like sweat? Why not use sweat if the objective is to make it look like sweat? I’ve said it before, you are missing the best part of this blog if you are not reading the comments. For instance, Hugh Farey gave us his view of three alternative hypotheses in what is a comment to a comment on a comment in the posting, So Maybe it is a Painting After All. Hypothesis One: The Shroud image could have been produced by the application of pigment, binder and medium, . . .
Hypothesis Two. The Shroud image could have been produced by the decomposition of a human body within which it was wrapped, the products of which, chemical, electromagnetic, or nuclear reacted with the cloth . . .
Hypothesis Three. The Shroud image could have been produced by a miracle. This cannot be tested. It cannot be refuted. It is not a scientific hypothesis. . . .
Do read Hugh’s comments in their entirety and all of the other comments in that posting. Why paint in the negative? . . . In fact, several features of the TS image may be considered give-away clues to a template having been used – the largely empty eye-hollows with no attempt to portray proper eyes, whether open or closed, . . . If the TS had been intended to be a painting, even one from which the pigment has now flaked off, then why use blood to portray wounds? . . .
Free-hand painting makes no sense to me whatever. One does not paint a life-sized image onto linen (as distinct from canvas) of a naked man unless the aim is to simulate a REAL contact imprint left somehow by the corpse, whether as sweat (my preferred view) or as a miraculous flash or radiation (that more fanciful interpretation probably having arrived much later – possibly centuries). If the aim is to simulate a sweat imprint, one does NOT paint free hand. One imprints off a template. Hmmm! Why not use sweat on a body if the objective is to make it look like sweat on a body? Anyway. This posting is really just a pointer to Colin’s thoughts and the other posting, So Maybe it is a Painting After All. 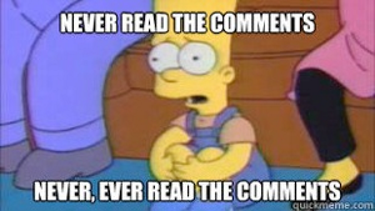 That’s where comments should probably go so I have closed comments here for that reason. (You can also comment over at Colin’s blog, instead or as well).